Seth Goyal ('17) looks to take down his opponent in the dual meet against Cupertino on Jan. 22. 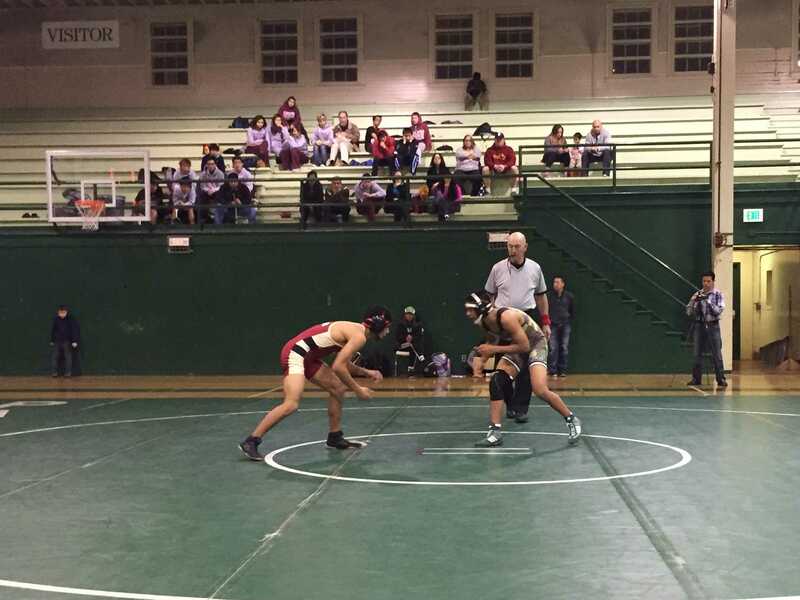 The Palo Alto wrestling team fell to Cupertino High School 52-22 at home on Thursday, Jan. 22. Coach Braumon Creighton was disappointed with the Vikings’ performance. The meet started off well for the Vikings, with Seth Goyal (’17) winning his match 13-2 in the 132-pound weight class. James Giaccia (’15) then pinned his opponent, giving Paly a 10-0 lead overall. Goyal was satisfied with how his individual match went. Nick Dias (’18) was then pinned in the 145-pound match, as was Ian Garduno (’17) in the 152-pound match. 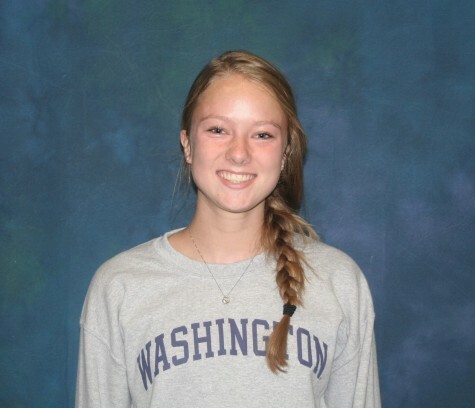 Emil Wolfgramm (’16) then wrestled for the 160-pound weight class and lost 10-0 before Sara Aguilar (’17) was pinned. Cupertino was then leading 22-10 overall. Keahi Asing (’18) wrestled for the 106-pound weight class and narrowly lost, 16-13. Nick Ogawa (’18) was then pinned, and Alexa Austin (’15) lost her match 7-2. The evening ended on a high note, however, with Richard Islas (’18) pinning his opponent. The overall final score was 52-22 in favor of Cupertino. The team in general agrees that as the season gets closer to the end, there are things that have to improve. Bryant-Anderson wants to prioritize strength training. “I think there’s things we need to work on, especially strength and conditioning,” Bryant-Anderson said. Goyal believes that it is most important to work on avoiding giving up points too easily. Because the dual meets are wrapping up, Creighton thinks that individual work will be key to optimize success at league and section finals. “In the next few weeks, I’m going to have to really focus on the guys and the girls [who] actually have a chance to do well in CCS… and just keep [working] until the end,” Creighton said. Next up, the Vikings have the MidCal tournament this weekend, Jan. 23-24 at Gilroy High School.